100% outdoor nylon. 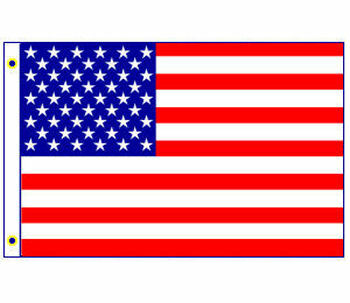 All flags have strong canvas headings, sewed nylon stripes and fine cambrie sewed stars. Sizes below are complete with brass grommets.